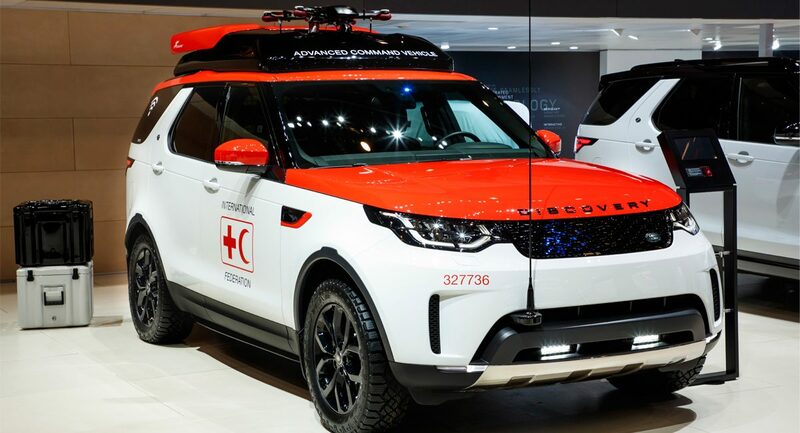 Jaguar Land Rover Special Vehicle Operations has designed and engineered a bespoke version of the new Land Rover Discovery in order to provide the Austrian Red Cross support in its efforts to reduce disaster response times and save lives. 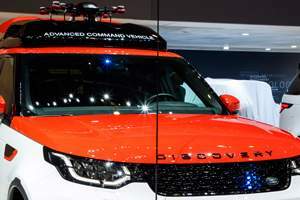 ‘Project Hero’ was presented to the world’s media for the first time at the Geneva Motor Show 2017 and comprises a Land Rover Discovery, a roof mounted drone and powerful, integrated communications system. Described as an ‘advanced communication vehicle’ the drone’s purpose is to send live footage to the emergency response team to allow two way communications with the rescue teams at all times. 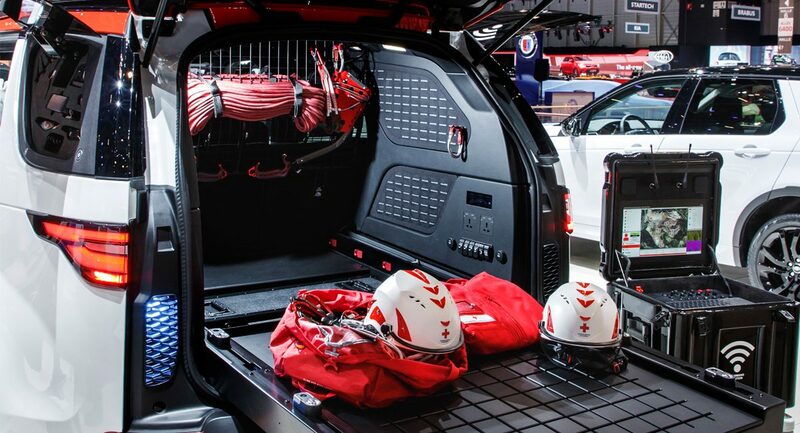 The Project Hero drone can be controlled from the safety of the vehicle using a tablet app that allows the occupants to assess the surrounding environment as they drive. 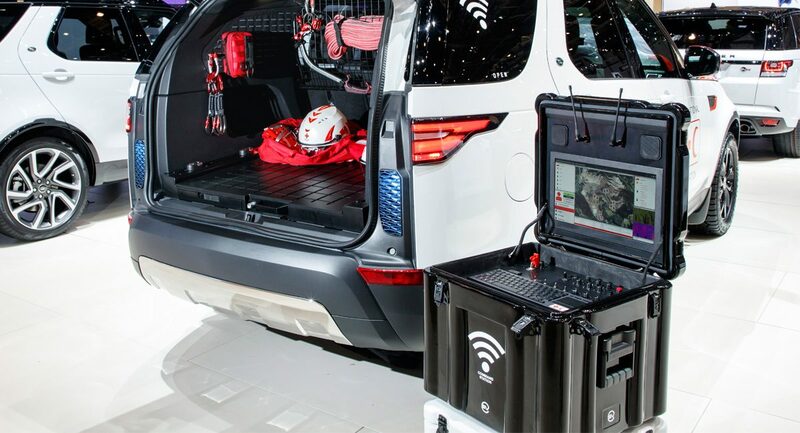 The technical flexibility of Project Hero allows the Austrian Red Cross to host specialist communication equipment in the vehicle, so the team can co-ordinate the next steps live on the scene as efficiently as possible, regardless of the challenges presented by the terrain and environment, allowing situation analysis and support strategies. 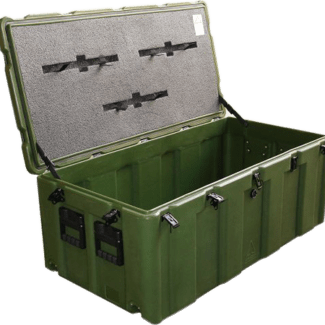 CP Cases has the necessary equipment to support the reconnaissance teams. 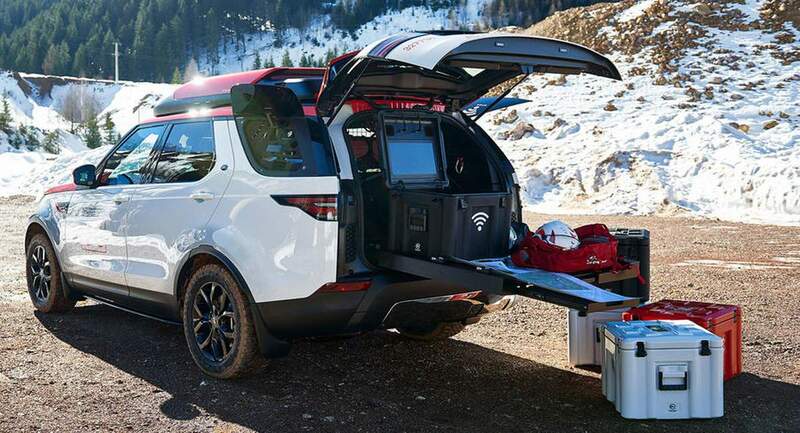 Computer systems had to be mounted and safely stowed for immediate use – the likelihood of rough terrain and unexpected obstacles meant the protection of the communications kit was paramount. The custom designed Amazon Cases and foam engineering ensured the ultimate protection. Hinged lids were the preferred choice and easily accommodated laptops, cables and associated equipment. Amazon Cases are available in a range of colours to suit company preferences. 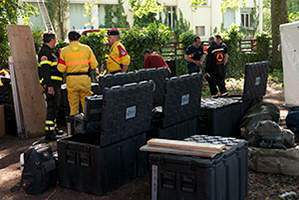 Amazon Cases are used by the Italian Urban Search and Rescue teams (USAR) in the field as part of their intervention program for dealing with natural disasters. 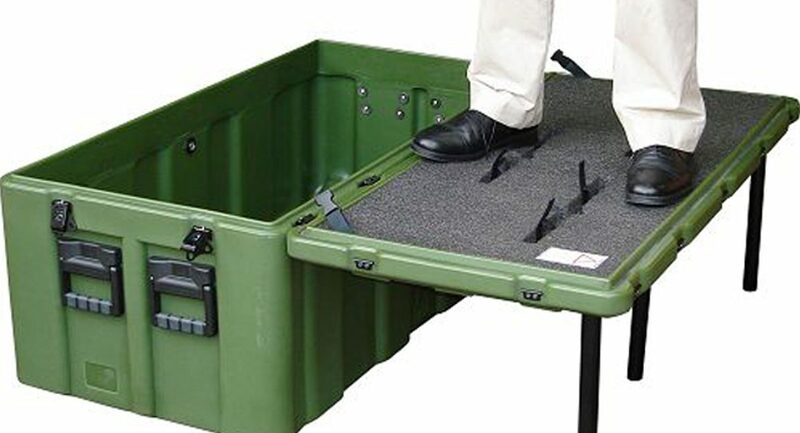 A custom designed Amazon Case for storage and use of emergency medical stores.